If you love to chase after buy-back autographed cards and have an affinity towards the players of yesteryear then this product is for you. Last week Topps released, for the second year in a row, their 2016 Topps Archives Signatures brand. As you may know, it solely focuses on older Topps cards that have been signed by the respective player. In other words, there is no base set. Instead, each pack/box includes a single encased certified autographed Baseball card. There are over a 100 different players available and several of them have Dodger ties. 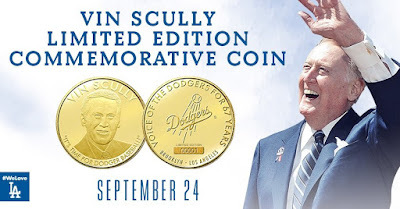 They include Andy Pafko, Don Drysdale, Don Zimmer, Duke Snider, Eric Davis, Frank Robinson, Gary Carter, Greg Maddux, Hoyt Wilhelm, Leo Durocher, Mike Piazza, Nomar Garciaparra, Sandy Koufax, Shawn Green and Steve Garvey. Go here for a listing of players that can be found. 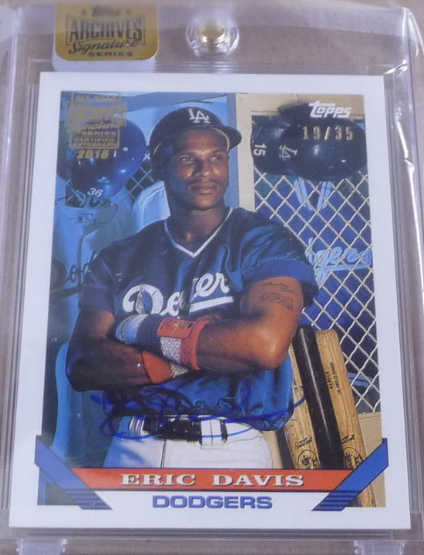 There is no guarantee, of course, that the players above have a signed Dodger card in the product. After all, both Hoyt Wilhelm and Frank Robinson were short-term Dodger players, and there are really only a handful of Topps cards of them as a Dodger available. Nevertheless, I've done my best to catalogue what is available. If you run across something I don't list here please let me know. 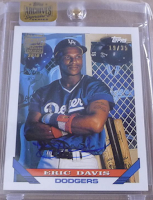 Below is a listing of known (so far to me) Dodger cards. Of note, if your a fan of Steve Garvey or Shawn Green then chances are high you'll find one in a box. There are a ton of them available. Furthermore, the list below is not likely to be complete. There are no doubt numerous "1 of 1" cards and other scarcities still lurking in unopened boxes or in private collections. 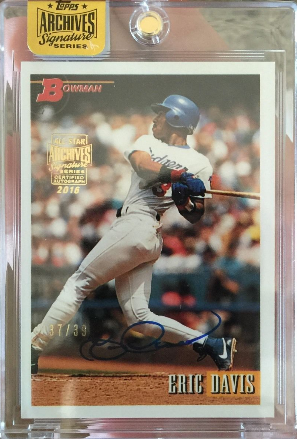 UPDATE: You can check out a listing of the 2015 Archives Signature Dodgers cards here. ICYMI: The Dodgers recently added a new game giveaway to their schedule, and it commemorates the career of retiring legend Vin Scully. It will be given out on Saturday, September 24th against the Colorado Rockies, and that is the second to last home game of the regular season. Check out what it looks like in the graphic above, via @Dodgers on twitter. "We put some at-bats together and got a lot of hits out there, got a lot of baserunners," Dodgers manager Dave Roberts said. "I thought it was really good. Jumped on Miller early, stressed him early. It was just a well-played baseball game." This Day in Dodger History: In 1903 the Brooklyn Superbas (Dodgers) and the NY Giants play a two-stadium, same-day doubleheader. The first game began at 10:30 AM at Washington Park (Giants won, 6-4), and the second game got underway later that afternoon (Brooklyn won, 3-0). In 1962 Maury Wills stole four bases against the Pirates to break the modern National League record for stolen bases at 82. In 2001 Shawn Green broke the Dodger record for home runs in a season at 44.